Say hello to Baby Vika! 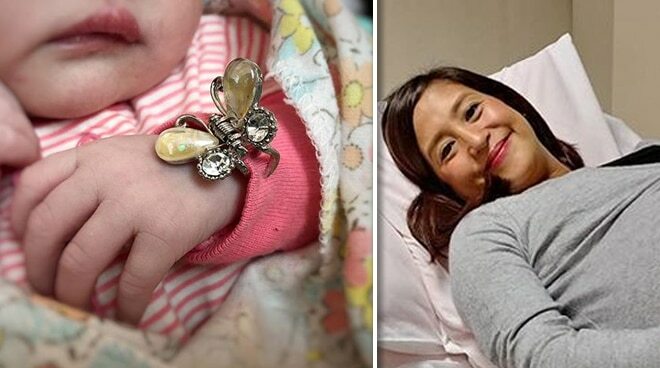 Jolina Magdangal took to Instagram to announce that she has finally given birth to a healthy baby girl whom she named Vika. Though she had to go through a lot of pain, Jolina said all her pain went away when she saw her son Pele’s reaction upon seeing his baby sister. “Sobrang worth it ang lahat ng sakit dahil sa nakita kong reaction ni Pele kay Vika. Will post pictures very very soon,” she stated. Vika is Jolina Magdangal’s second child with husband Mark Escueta.